 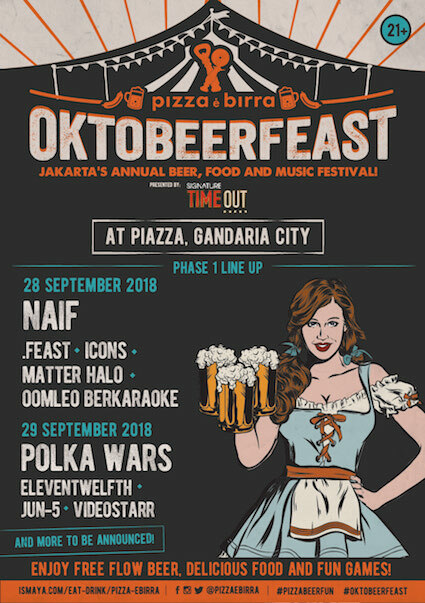 Join the Festivity of Jakarta’s Annual Beer, Music and Food Festival: Pizza e Birra Oktobeerfeast 2018! 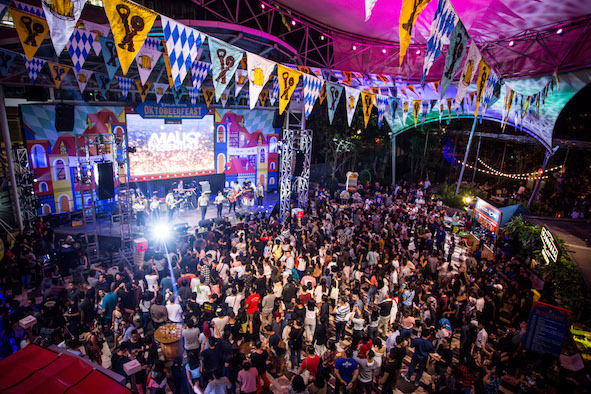 Celebrating Oktoberfest in a German way, Pizza e Birra holds a series of thrilling entertainment and dining experience starting from September until the first Sunday of October. 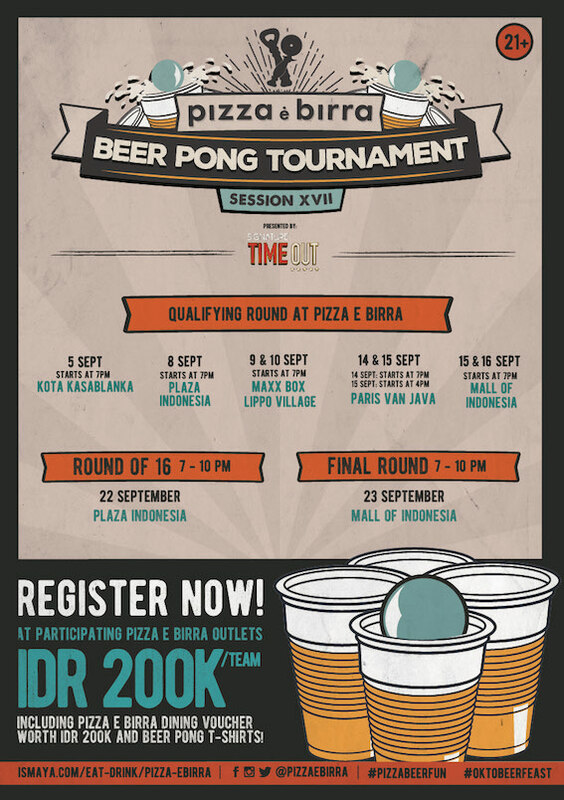 The festivity starts with in-store special menu and the well-known Beer Pong Tournament session! 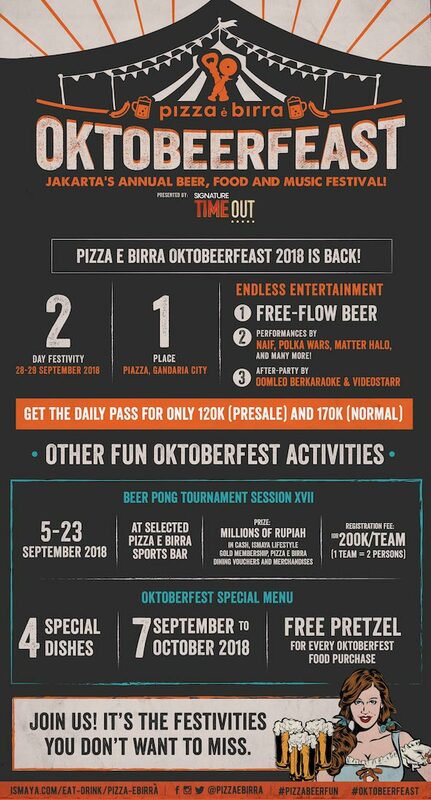 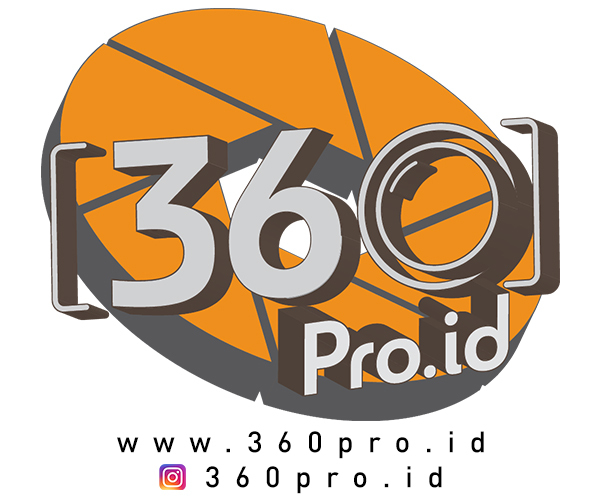 The celebration tops with the only festival in Jakarta for the young spirits that combines free-flow beer, music, food and exciting activities in one place: Pizza e Birra Oktobeerfest on 28-29 September 2018 at Piazza, Gandaria City.